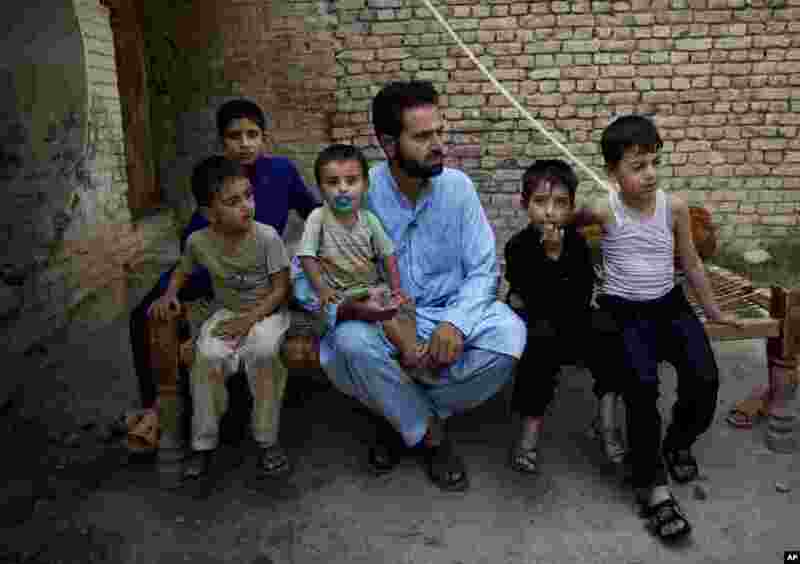 1 Pakistani jets pounded targets in the country's northwest in a major offensive designed to root out terrorist safe havens in the region forcing families to flee their villages, Bannu, Pakistan, June 17, 2014. 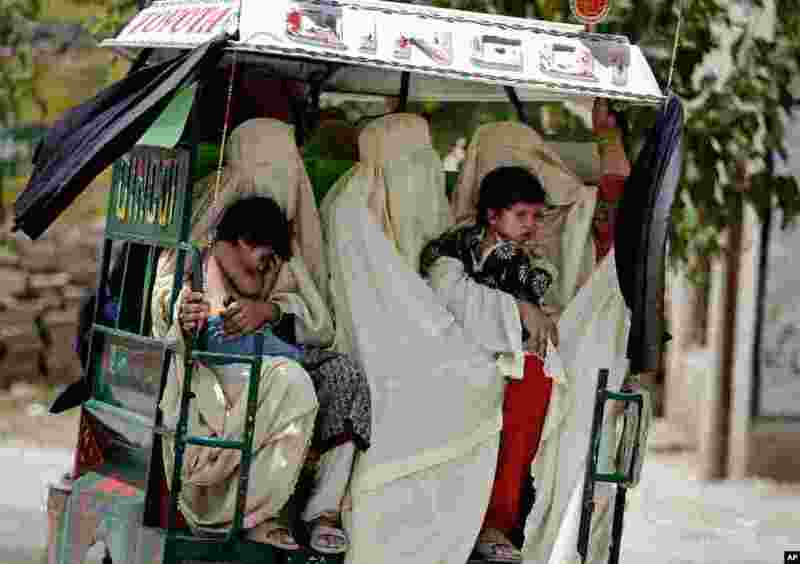 2 Families arrive in large numbers after fleeing their villages in the Pakistani tribal area of North Waziristan, in Bannu, June 17, 2014. 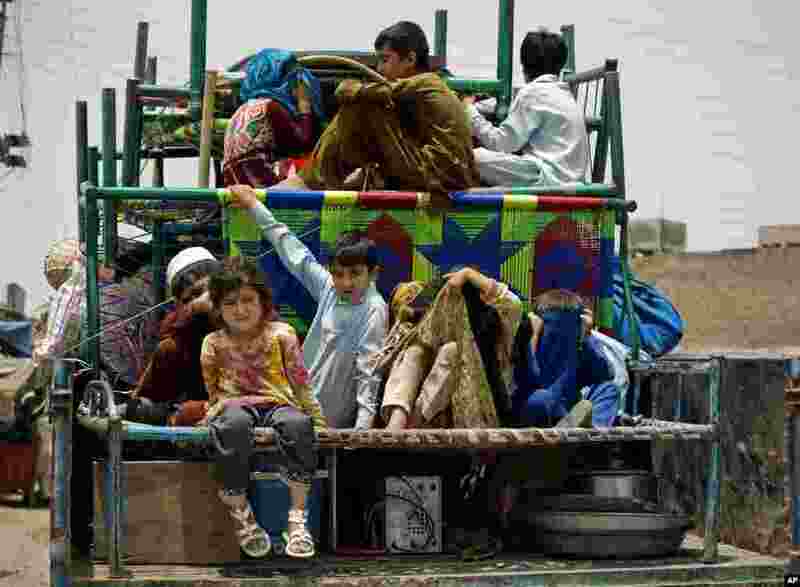 3 Families arrive in Bannu with few possessions after fleeing their villages in the Pakistani tribal area of North Waziristan, in Bannu, Pakistan, June 17, 2014. 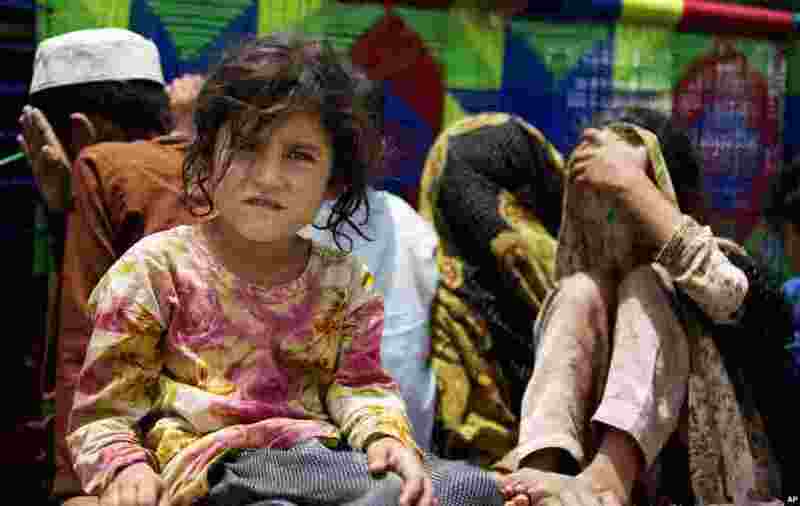 4 Villager Aftab Khan takes shelter at a school after fleeing from the Pakistani tribal area of North Waziristan, in Bannu, Pakistan, June 17, 2014.